Here is a paper by Claude Pair which is to my knowledge the first which addresses the decision of the equality in recursive types. The framework is this of ALGOL 68 and has a slightly different terminology from the one of 2002. The problem is clearly presented on Page 17, the proof is done in language theory with no clear distinction between the concrete and the abstract syntax. It relies on the existence of a unique fixpoint. The existence of the decision procedure is alluded on the last lines of page 25 "It may be remarked that the test for equality of the components of the solution of a system, given by proposition 4, lends itself well to being programmed" but the proof provides clearly a decision algorithm. Who is Claude Pair ? 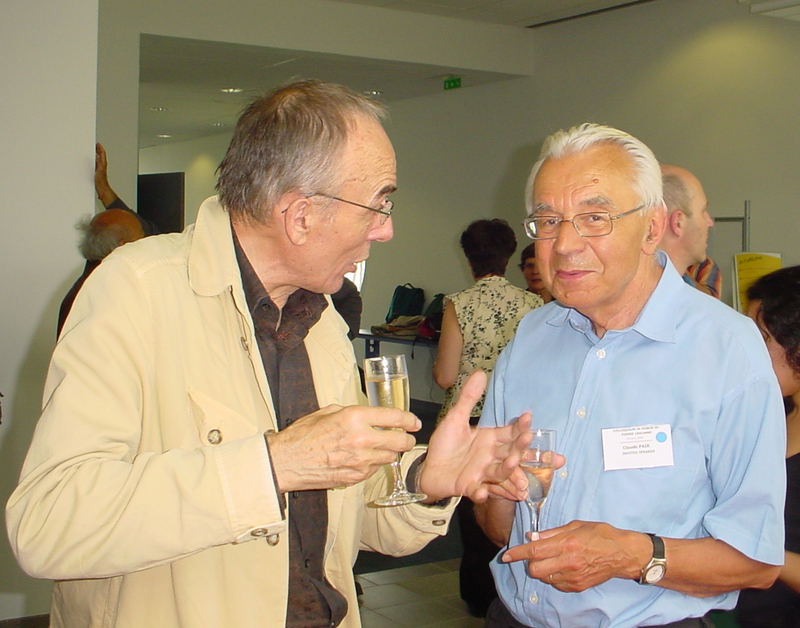 Claude Pair was a prominent figure of computer science research in France and more specifically in Nancy. He graduated from Ecole Normale Superieure of Paris. He was the founder of the Centre de Recherche en Informatique de Nancy (now Loria), president of the computer science section of CNRS, president of the University known as Institut National Polytechnique de Lorraine, director des Lycees at the French Ministry of National Education, rector of the academy of Lille. He received the Montpetit Price from the French Academy of Science and the grade of commandor of Legion d'Honneur (see the picture below when he received the decoration from Hubert Curien). He was also my thesis supervisor. He is now retired and his current main interest is education for disadvantaged children.